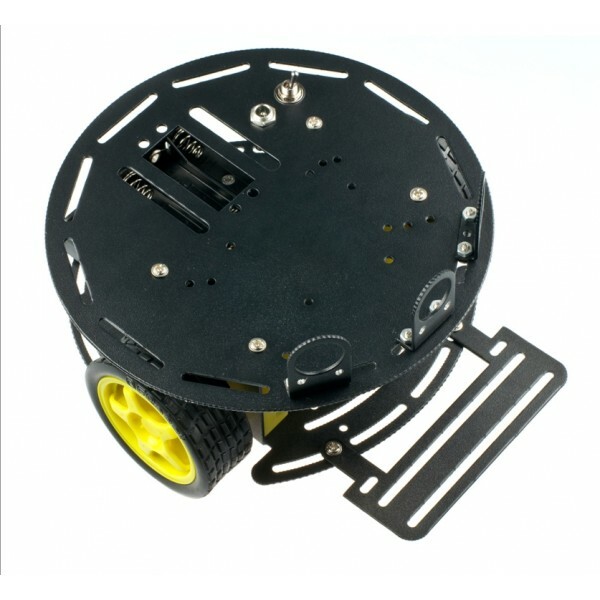 The Turtle 2WD Mobile Platform provides a sturdy metal base for your small robot experiments. This platform is constructed from two decks made from a high strength aluminum alloy. It comes with a pair of motors with wheels, a metal ball caster, 5 AA battery holder, power jack and an on/off switch. It also includes a set of optional plates that assist with mounting various sensors. The included motors have a gear ratio of 1:120 with a no-load speed of 200 RPM and 1.92 Kg-cm of torque at 6V. The completed platform is about 17cm in diameter and weighs about 445 grams. It can reach a top speed of 61cm per second. 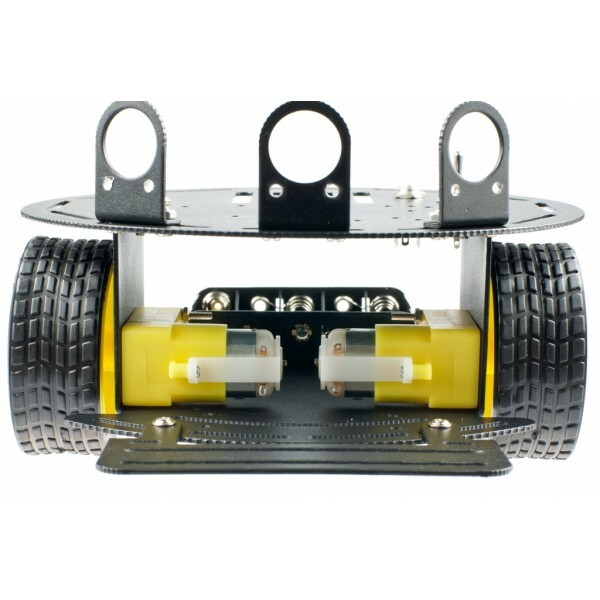 This robot platform is performs best indoors or a flat surface. This kit requires assembly and some basic soldering. 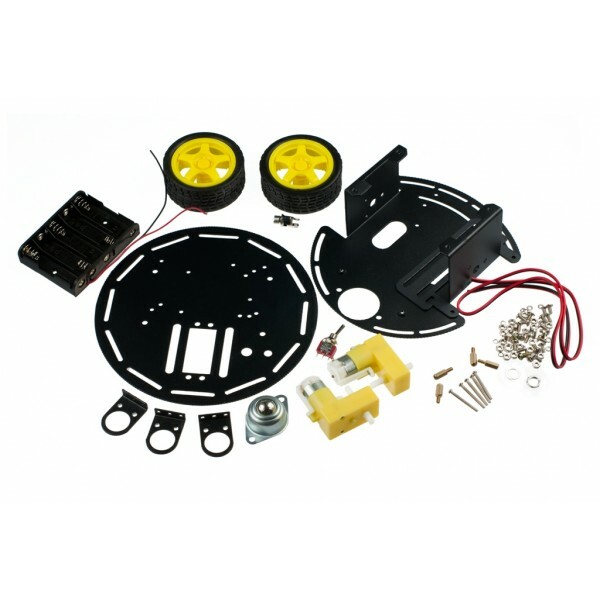 You will need to add your own microcontroller, motor driver and sensors to complete the robot. 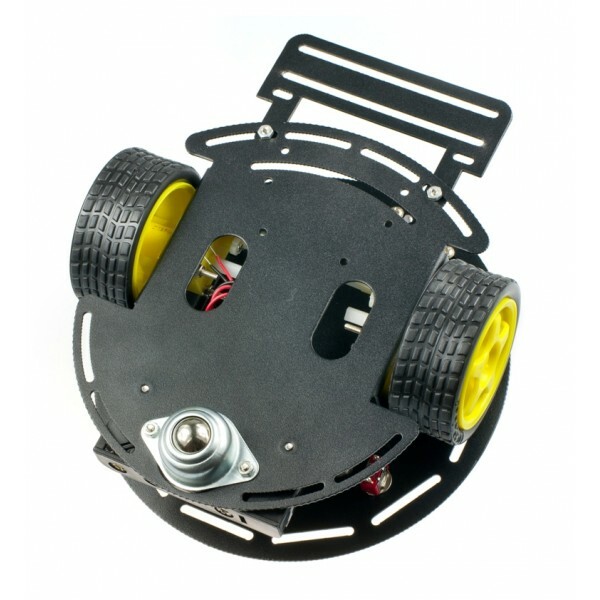 The Romeo All-in-One Robot Controller is recommended.